Reader Question: I have just purchased a quilting machine. I want to make money with it ,of course. Should I focus more on making quilts to sell or quilting for other people. I have sold quilts in the past but nothing serious. 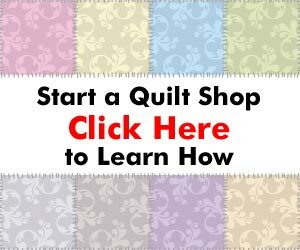 There are more people quilting than there are people buying quilts. It seems most people receive quilts from friends and family members that are quilters, rather than purchasing them. So, I would suggest that the best way to consistently make money with your quilting machine is to offer quilting services to quilters.